Arizona’s regional Agile conference returns, taking place November 14–16. You’ve got options for how to participate: The first two days will focus on certification classes, with pre-conference workshops available on the 15th. The 16th will be a full day of talks from industry experts. 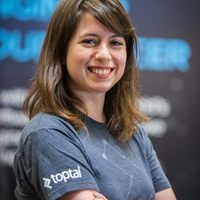 Debbie Levitt, a Toptal designer, will take the stage November 16 at 1:00pm with a talk titled DevOps ICU: (Correctly) Integrating UX, Product Design, and Agile. This session will explain how the UX process fits into Agile, saves companies money, augments DevOps goals, and increases customer satisfaction. For more information and to get conference tickets, please see the official website.